Why am I talking about Lankester? Professor Roger Wotton, who gave the Grant Lecture last year, has recently won an award for his research which resulted in an imaginary conversation between Lankester and a new academic, set at the start of the 20th Century. New Academic: Sir Ray, you are recognised as a major figure in the History of Biology – as a scientist, teacher, Head of Department, and populariser of Science. When did your interest in Biology begin? Professor Sir Ray Lankester: I inherited it from my father. Well, not inherited exactly, but directly as a result of his influence and that of his friends. He was trained in Medicine, at University College London, actually, but retained a passion for Science. 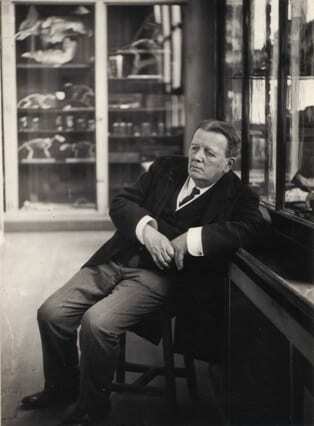 Visits of his friends to our house nurtured my enthusiasm further and I remember the Natural Historian P.H.Gosse, who shared my father’s love of microscopy, Charles Darwin, T.H. Huxley and many others. I, too, developed an interest in looking through microscopes and I still have it today. There was, of course, much conversation to listen to when I was allowed to be involved, and my father was always busy with papers for the Quarterly Journal of Microscopical Science, which he edited. It was a great honour that I succeeded him in that role.